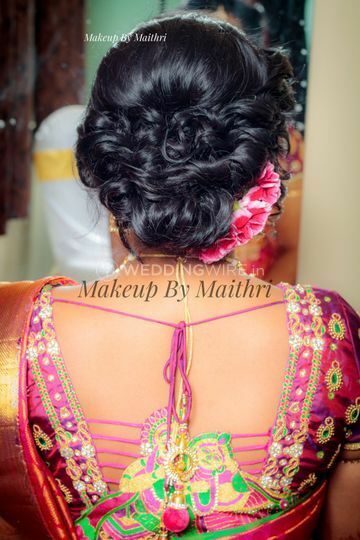 Makeup By Maithri ARE YOU A VENDOR? 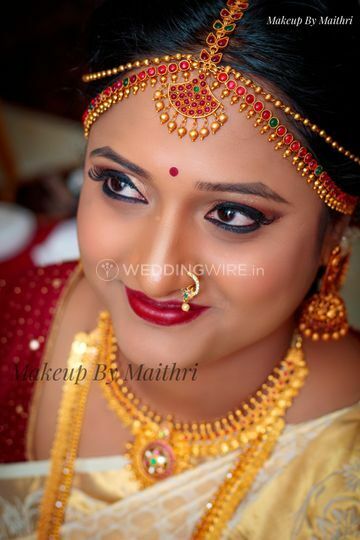 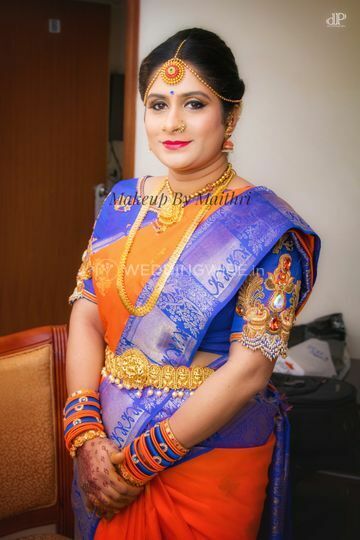 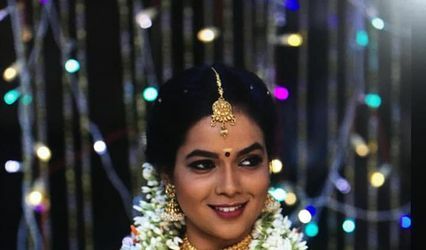 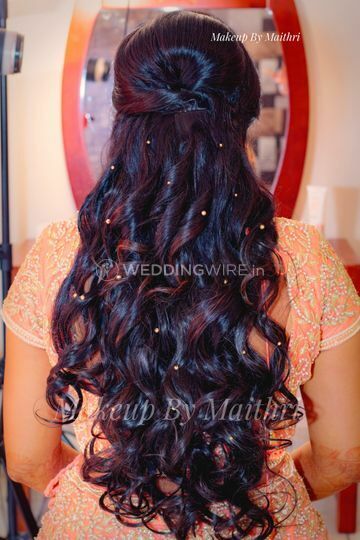 Makeup By Maithri is a bridal makeup artist who is based in Bangalore. 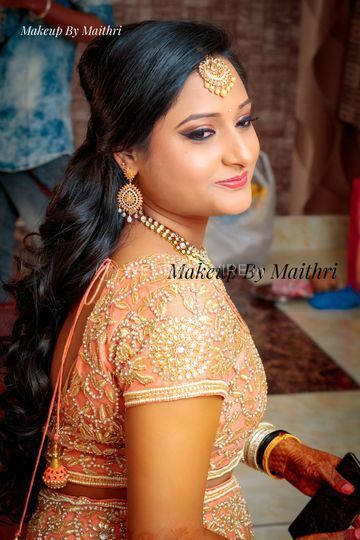 Specialising in bridal makeover this professional is a certified artist who has years of experience in this industry. 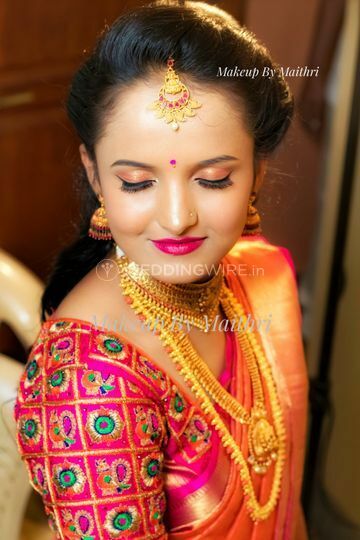 Being a passionate and dedicated expert she uses renowned makeup products which are very safe to apply on the skin. 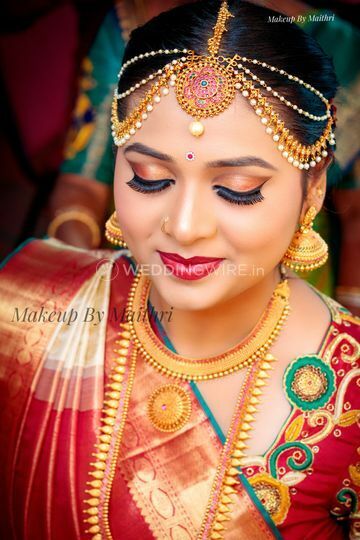 Be it engagement, reception or wedding day she gives a stunning makeover which is perfect for that occasion. 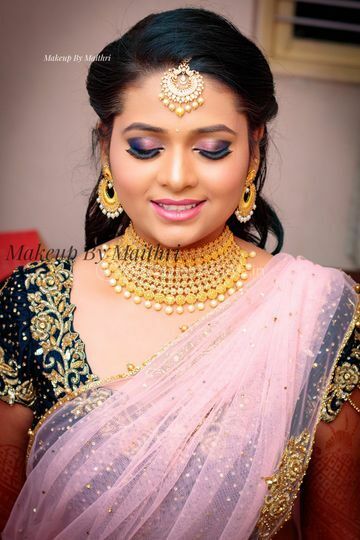 Believing to sculpt the face perfectly, she uses renowned makeup products like Kryolan, L'Oreal, MAC, Makeup Forever, etc. 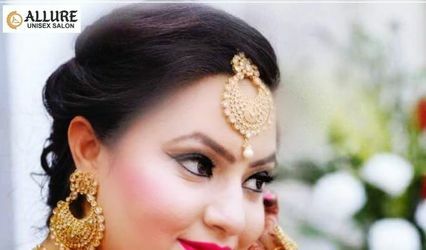 which are very safe to apply to the Indian skin tones. 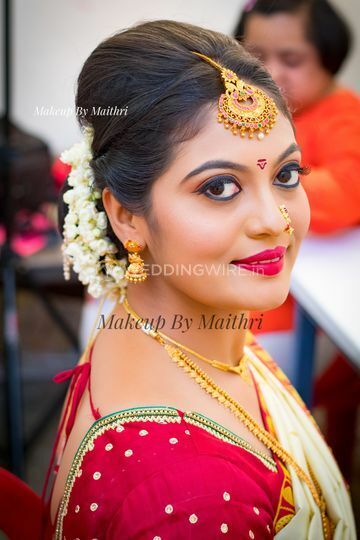 Willing to travel to destination weddings, Makeup By Maithri also provides makeup trial session to her brides-to-be and makes them look pretty on their wedding day.